I really love my laundry room. I never thought I would say that, but I do. It is it’s own room, with a closet and cabinets and lots of space. I can even close the door so no one ever has to see my dirty laundry. It’s very functional, it’s just not pretty. It’s new, but kind of bland. I so badly want to spruce this space up but with holidays around the corner and a baby on the way this will have to wait until Spring. A couple weeks ago I purchased a Silhouette….and I love it. I have used it almost every day for all kinds of projects. Lots of trial and error, but nevertheless a blast to play around with. I also happened to score a glass etching kit with my machine! I had visions of etching my last name into my casserole dishes and pretty images on flower vases, but an idea came to me while folding laundry. 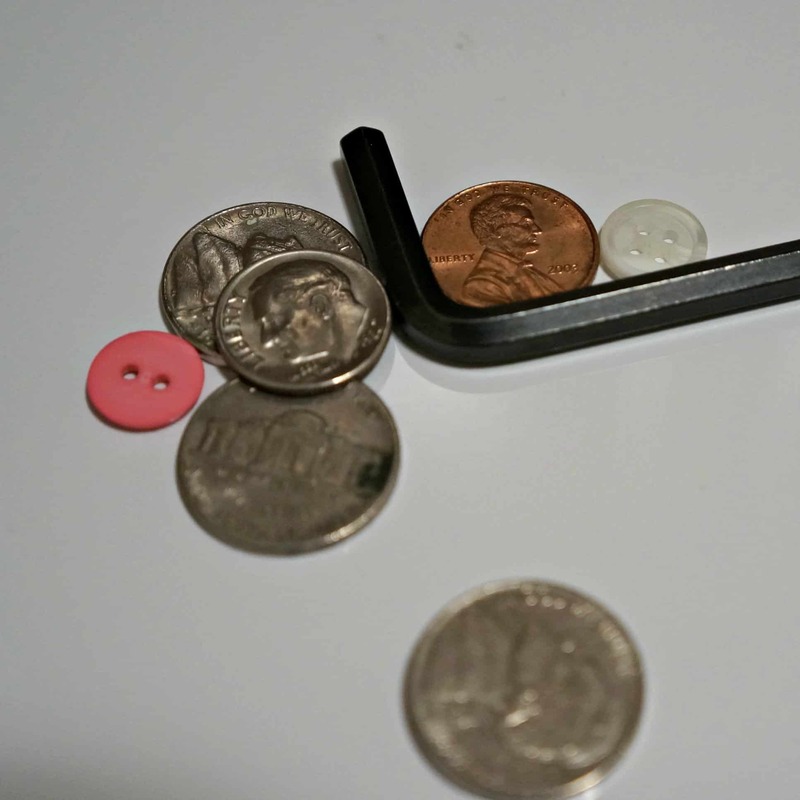 All those little items that come out of pockets in the wash (I tend not to check pockets before washing pants) end up on top of my washing machine. And they don’t often leave. I could probably put that wrench in the garage, the coins in the piggy back and so on. But realistically they will stay there until I need a quarter or they get knocked behind the machine. 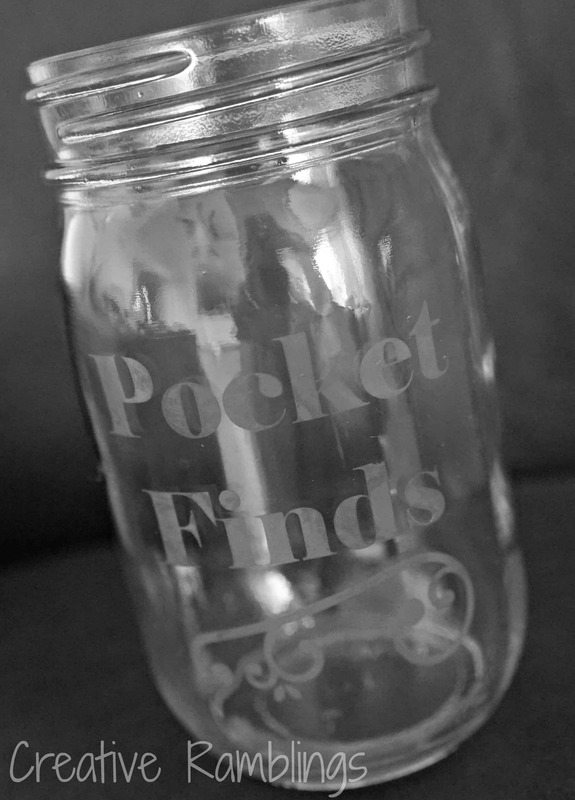 Why not create a cute little jar with my new etching kit to wrangle all these pocket finds! 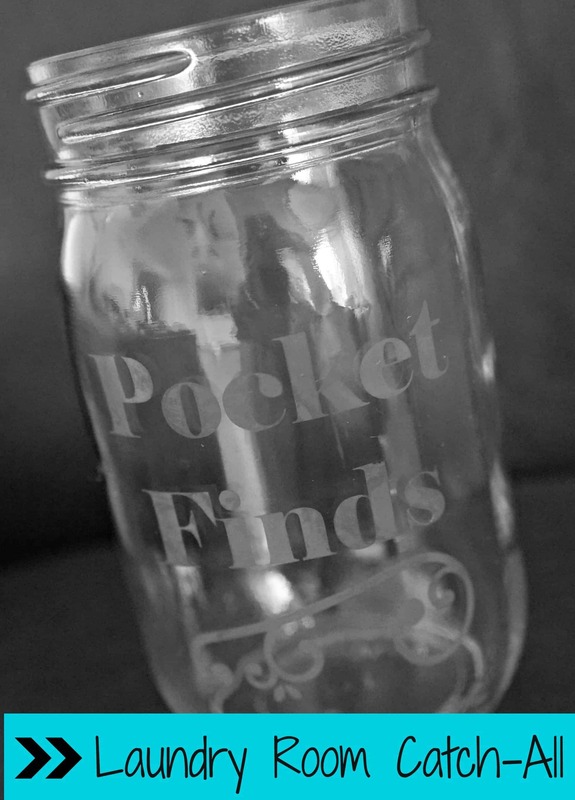 I have a hefty collection of Mason jars so I grabbed a small one and set to work designing a little something for it. I used a standard font and a little flourish that came with my glass etching kit to create this design. Then I followed the very detailed instructions provided by Silhouette. They have a nice collection of instructional videos which I much prefer to reading instructions. 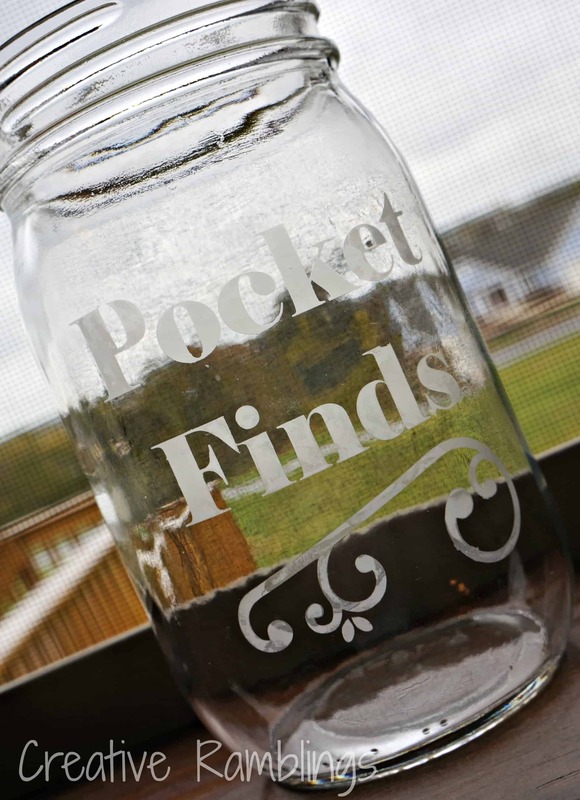 Voila, a cute jar to corral my pocket finds. It’s sitting on top of my washing machine, it might just remind me to check the pockets before washing pants…we’ll see. This satisfies my need to pretty up my laundry room for now. What have you done in your laundry room? I would love some ideas. Thanks Angela. Bummer about the ipod, hope but some chance it still worked after all that!